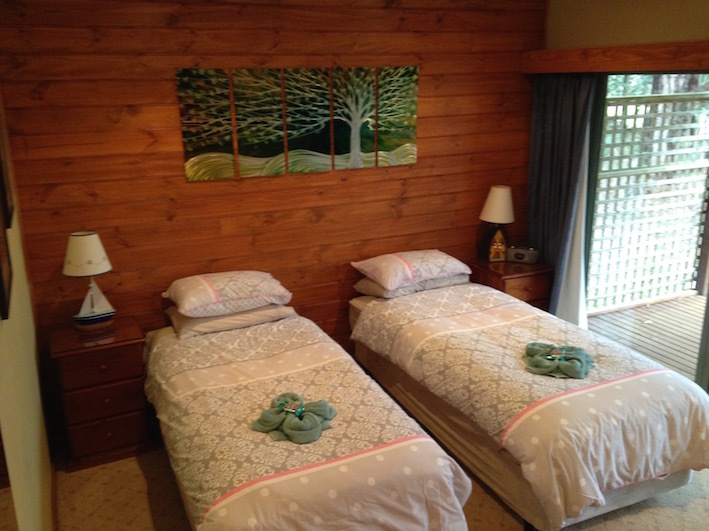 Anchor Cottage is a beautiful cottage which is perfect for the family or friends to enjoy the beauty of nature, as you are surrounded by a tranquil bush setting. 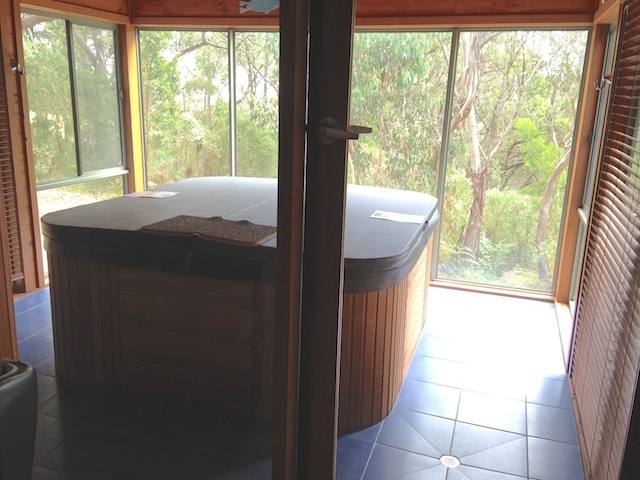 Relax and be pampered by the amazing jacuzzi, which has a captivating bush outlook. The rustic interior is sure to impress and the warmth of the fire is a natural attraction. Each bedroom suite has its own luxury bathroom and cosy decor and the large kitchen and lounge will be sure to impress. A very popular cottage which is beautifully appointed. 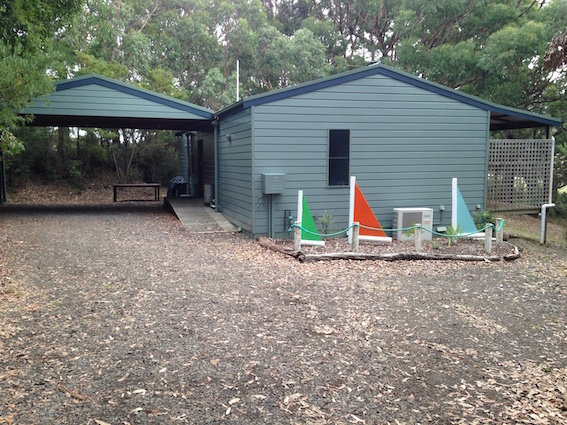 Enjoying a wonderful bush surround, Anchor boasts terrific birdsong and tranquility. Excellent undercover parking and facilities make Anchor a great escape. Bedroom one is well appointed and luxurious. 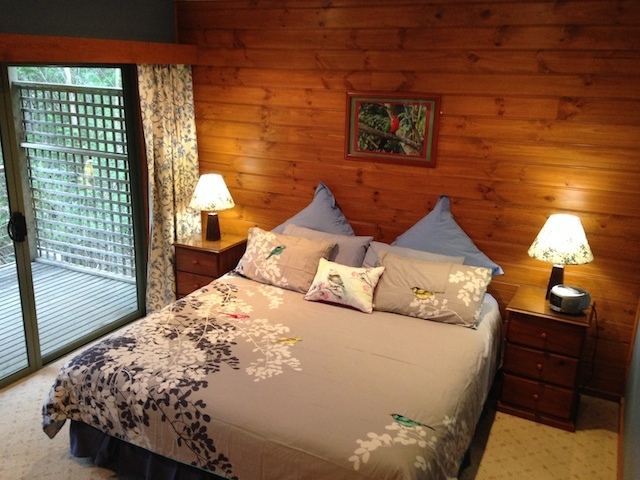 Bedroom two is perfect for the family or the two singles can become a king. 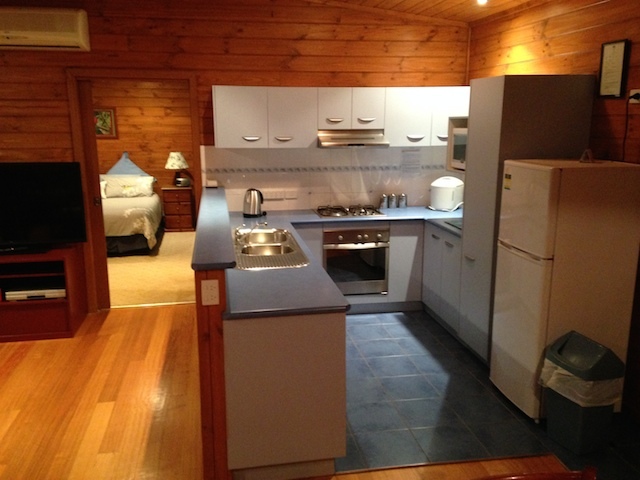 A fully functional kitchen has all the mod cons for a great stay and cooking up a storm. 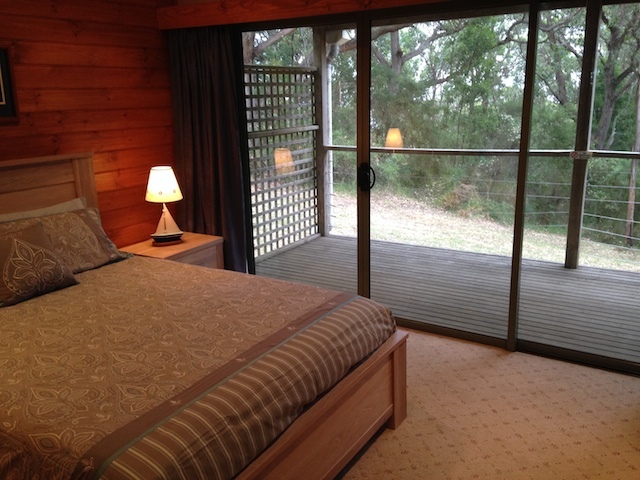 Great bush views surround Anchors Cottage and the setting sun glimpses through the trees. 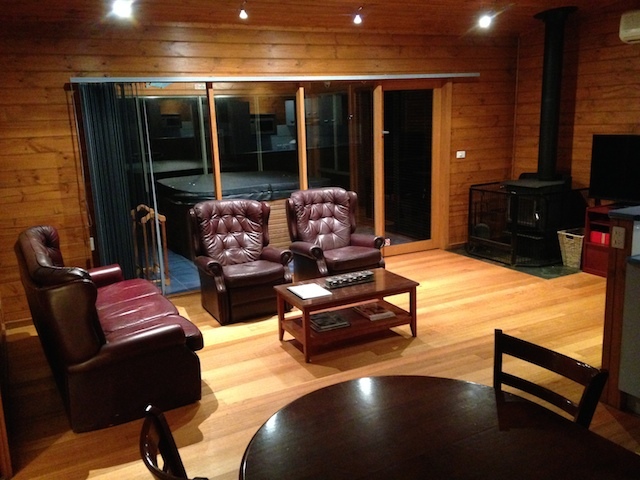 The warm and rustic lounge; friends and family will love sharing quality time around the fire. 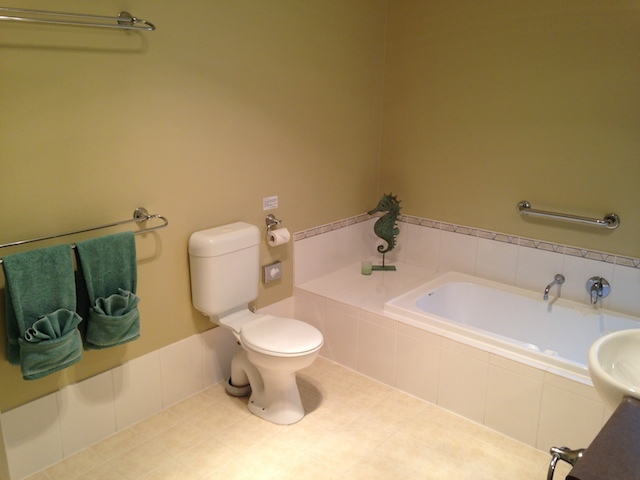 Bedroom suite two has a well appointed bathroom which includes a bath and quality fittings. The Jacuzzi boasts natural bush views and is very popular for Anchor guests. Warmed to 38 degrees, the jacuzzi is a fabulous place to share a wine and romance.